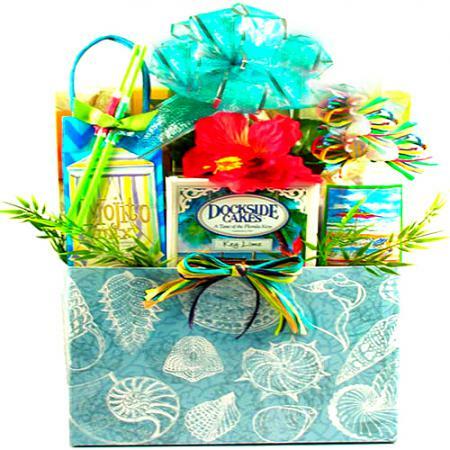 A stunning tropical themed gift basket arrangement, overflowing with tantalizing tropical treats and designed to make them feel like they are on an island adventure. 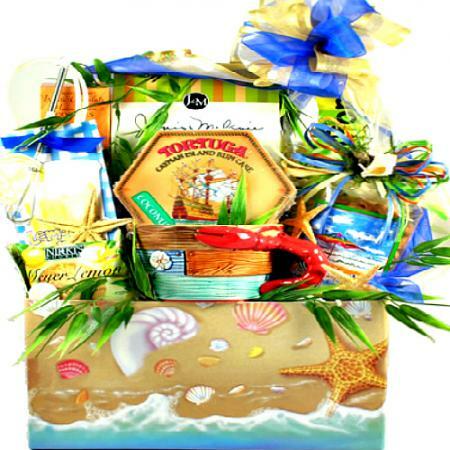 Our tropical gift basket is bursting with tropical flavors; every bite will be a taste adventure for anyone who enjoys a trip to Florida or the islands of the Caribbean. 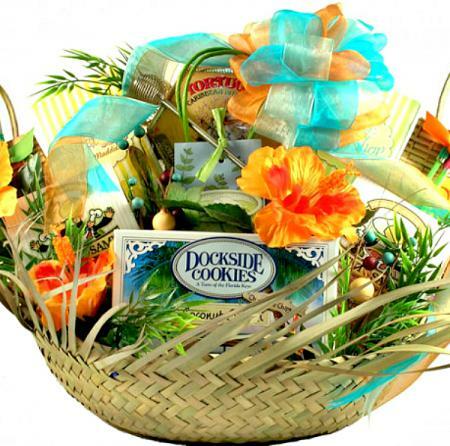 We've searched long and hard to find the best in tropical flavors and assembled them in one place. 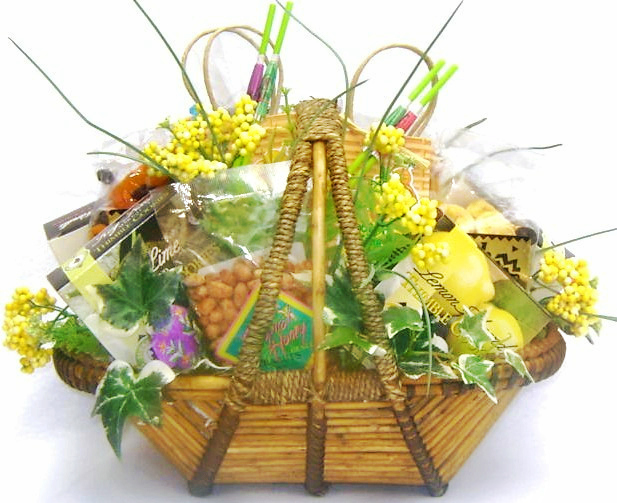 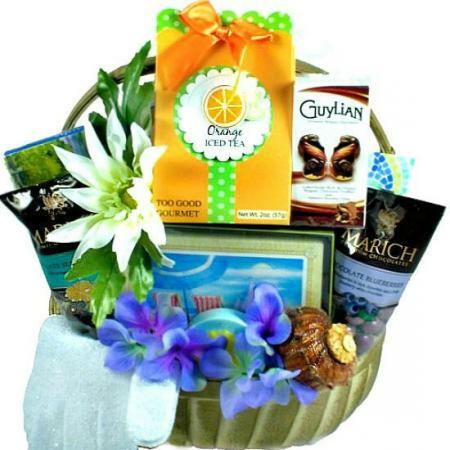 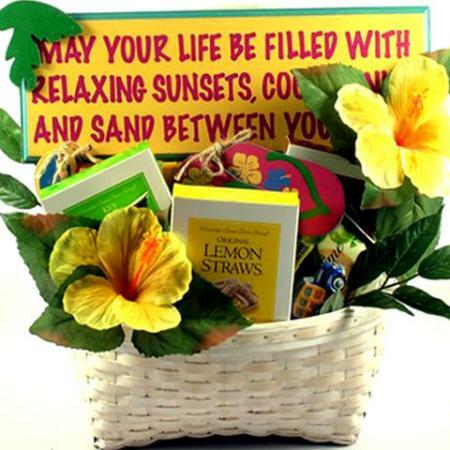 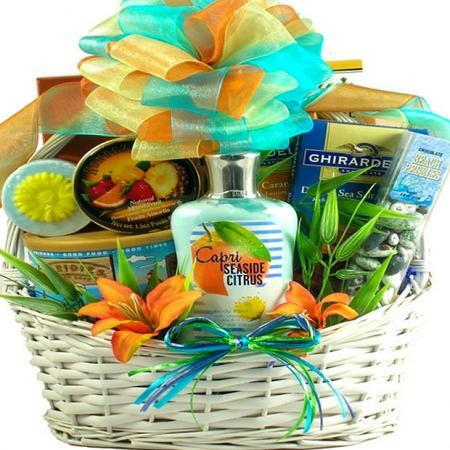 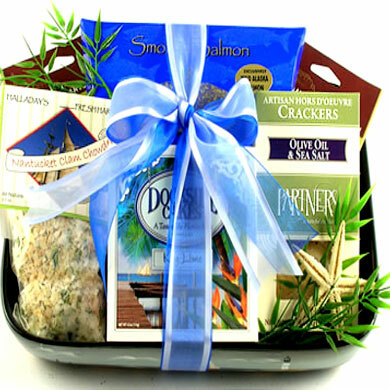 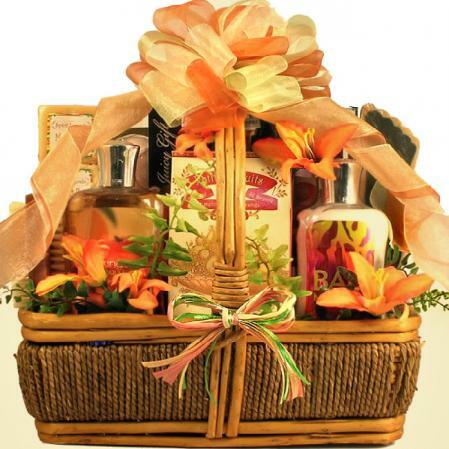 Everyone will appreciate this tropical gift basket that overflows with flavor. 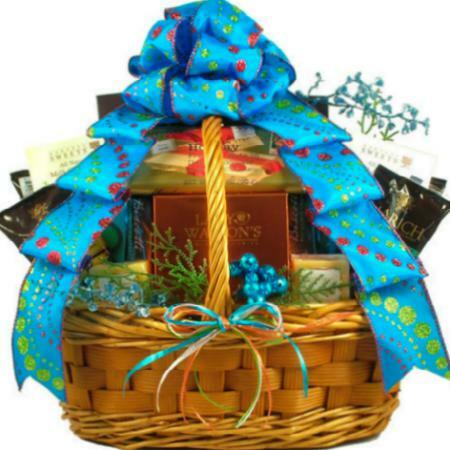 And, what's more, it's a perfect gift for any occasion!